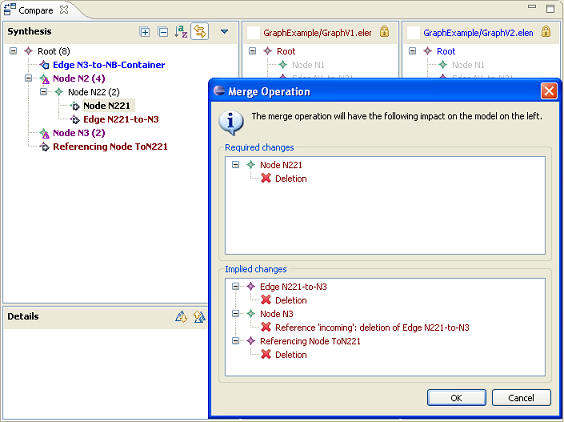 EMF Diff/Merge is a tool for merging models. More precisely, it is a technical component that can compare and merge sets of model elements. 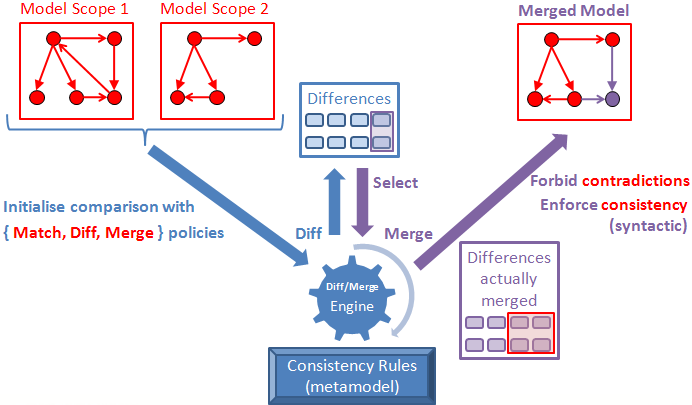 It consists in a diff/merge engine that is designed to prevent data loss and enforce model consistency during merge thanks to consistency rules. The project also provides GUI components and a set of applications. It is intended to help develop merge-based features that are useful in model-based engineering. For example: model refactoring, iterative model transformations, bridges between modeling tools, collaborative modeling environments, versioning systems. This page was last modified 06:33, 30 October 2017 by Olivier Constant. Based on work by Abel Hegedus.